Beautifully rich leather gives our Arabella statement knee-high boots a sophisticated look, while the timeless style makes these the most versatile footwear in your wardrobe. A half zip on the inside leg, button-down detail in contrasting leather and a zip on the back ensure that these boots stand out from the rest. Personalise the look by wearing the flap and back zip up or down. I purchased these boots recently and was very happy with the quality and the size match. They are made of beautiful soft leather and are quite unique. Thanks so much. 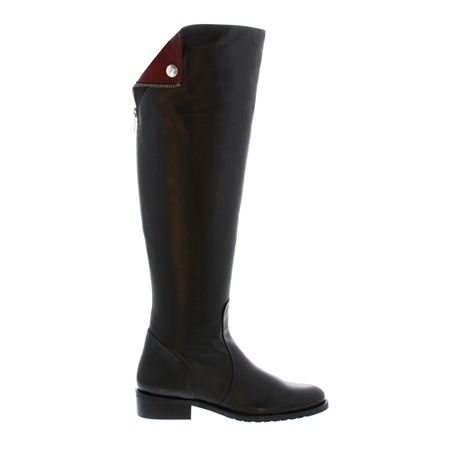 Carl Scarpa Replies: The lining is not leather but this boot has a leather sock.